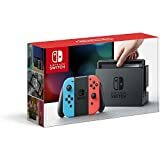 Nintendo Switch is back in stock on Amazon at $299 with Prime shipping. Go! You guys. You guys! 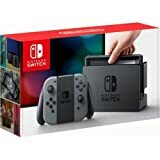 For the third time this week, Amazon has managed to secure shipments of not one but both Nintendo Switch console models. They’re in stock right now, just waiting to be plucked off of Amazon’s virtual store shelves. Want a Nintendo Switch with Gray Joy-Con? Amazon’s got you covered. How about a Nintendo Switch with Neon Blue and Red Joy-Con? Done. They’re at Nintendo’s standard retail price of $299.99, and that includes free Prime shipping for Prime subscribers. What on Earth are you waiting for! ?